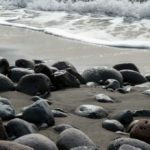 Christmas Eve in Lanzarote – a beautiful island, its crater and volcanic landscapes can indeed seem dull, but charming with a color range of black and ocher to bright red. 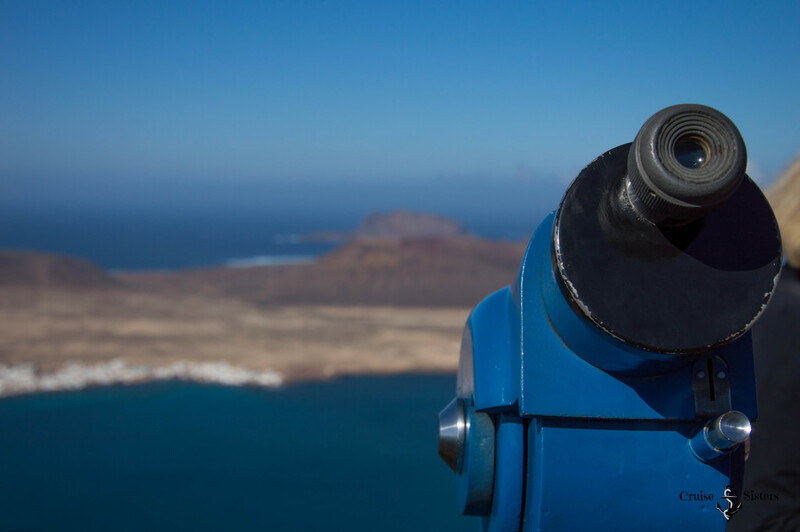 Beaches, vineyards, caves and mountains of fire – this is all Lanzarote and we wanted to explore this multi-faceted island on our own with a rental car. 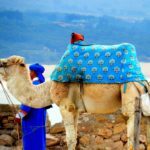 If you want to find out about the shore excursions of TUI Cruises, you can take a look at this page (PDF available under “Canaries with Morocco, Mein Schiff 4”). From the LZ 2 then you take the LZ 3 direction Av. Campoamor 3. Then from the LZ 3 you take the exit to Av. Campoamor / LZ-1. There continue straight on Calle León y Castillo / LZ-3. Then slightly after 250 meters turn left on Calle Gobernador García Hdez and after about 30 meters straight on you take the Av. de Naos and after about 90 meters at the roundabout you take the second exit (Av. Olof Palme). After another 200 meters turn left on the Av. Olof Palme. Then you can see the ship and you can drive to the port. When we picked up everyone with the cars we drove back onto the highway and our trip could begin. 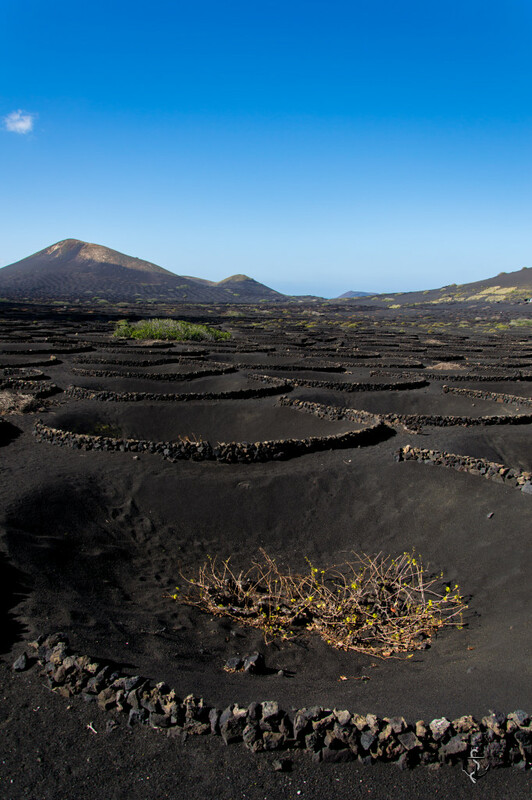 There is much to discover on Lanzarote. We decided to visit 4 main attractions. Our first stop was La Geria. 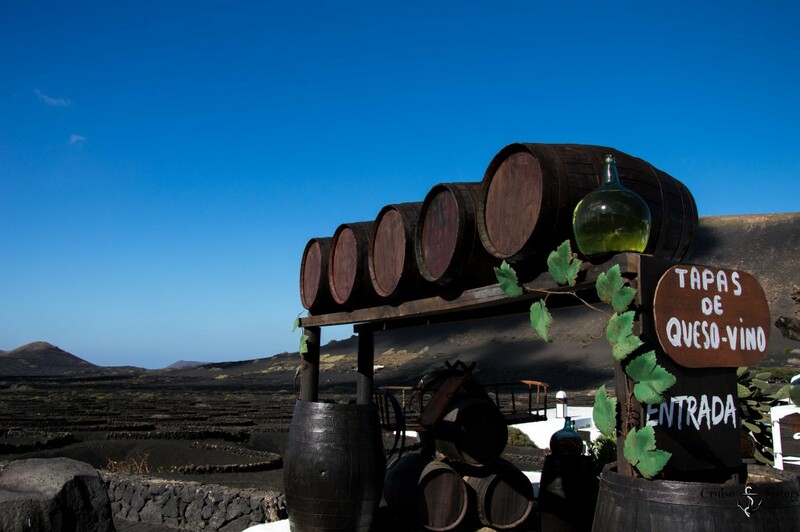 We wanted to see the largest wine-growing region of the Canaries and taste the special wine growing on volcanic ash. On the way to La Geria the landscape is pretty dark, to the right and left you almost see only black volcanic ash. 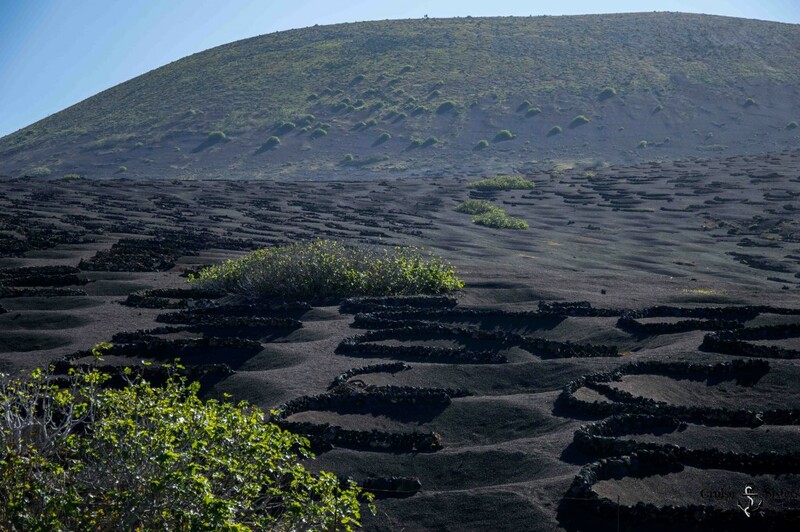 Everywhere on the ground we saw semicircles and holes with walls of lava rocks and in the middle small vinestocks. It is definitely a wonderful landscape. 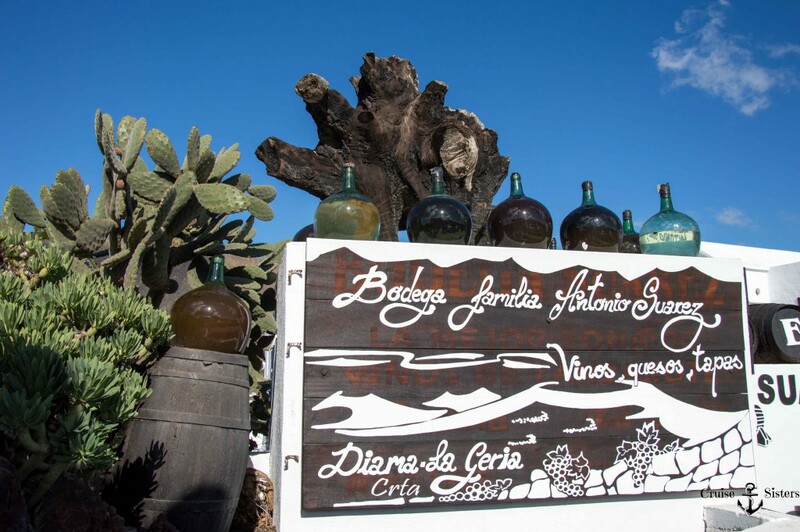 On the left and right side of the road there are lots of bodegas where you can taste wine. We chose the Bodega Antonio Suárez, a family-owned wine cellar. Here we were treated very friendly and tasted not only the wine, but also tapas (you can find out more about tapas here). Everything costs only a few euros and is thus not really expensive. We tried delicious cheese and olives. There was also a small shop, where we bought some cheese and wine to take away. Next, we drove to the Monumento al Campesino. 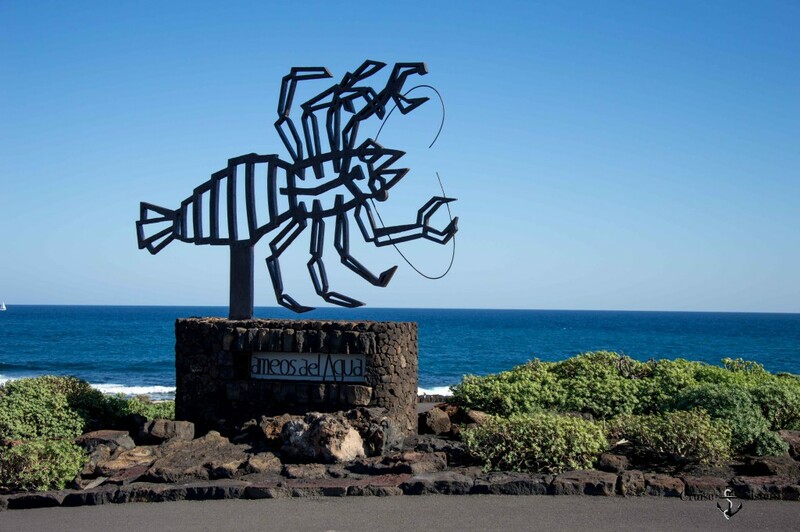 This Monument was on the road on our way to the Mirador del Rio and is a reminder of the hard work of the farmers of Lanzarote. 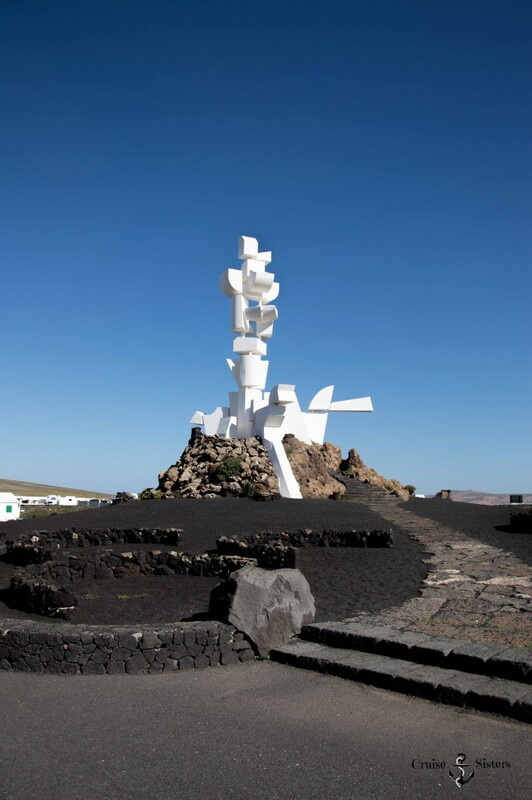 This monument was designed by the Spanish artist César Manrique.There is also a museum where you can learn more about the history of the island. 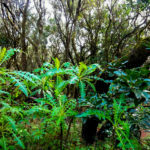 Since we preferred to continue our journey, we drove on to the Mirador del Rio. 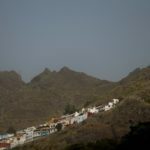 The road from La Geria to the Mirador del Rio in the north of the island leads through narrow switchbacks and you get to see many faces of the island. Actually the road and the view are so fascinating, that the drive is already worth the journey. The MIrador del Rio viewpoint was also designed by César Manrique with a bar and cafeteria, a souvenir shop and viewpoints inside. It is worthwhile to pay the entrance fee to see the view from the outside terraces. 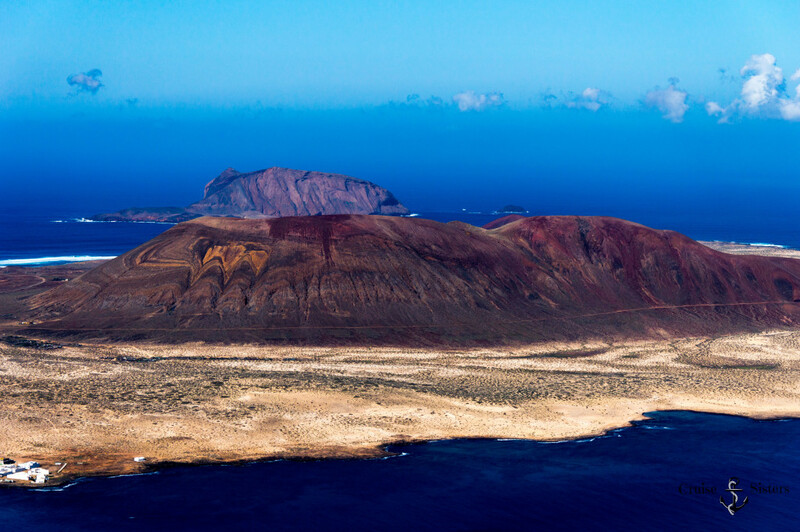 You can see the sea sleeve which separates Lanzarote and the island La Graciosa. It is incredibly impressive and if it’s not foggy you are able to take spectacular photos. 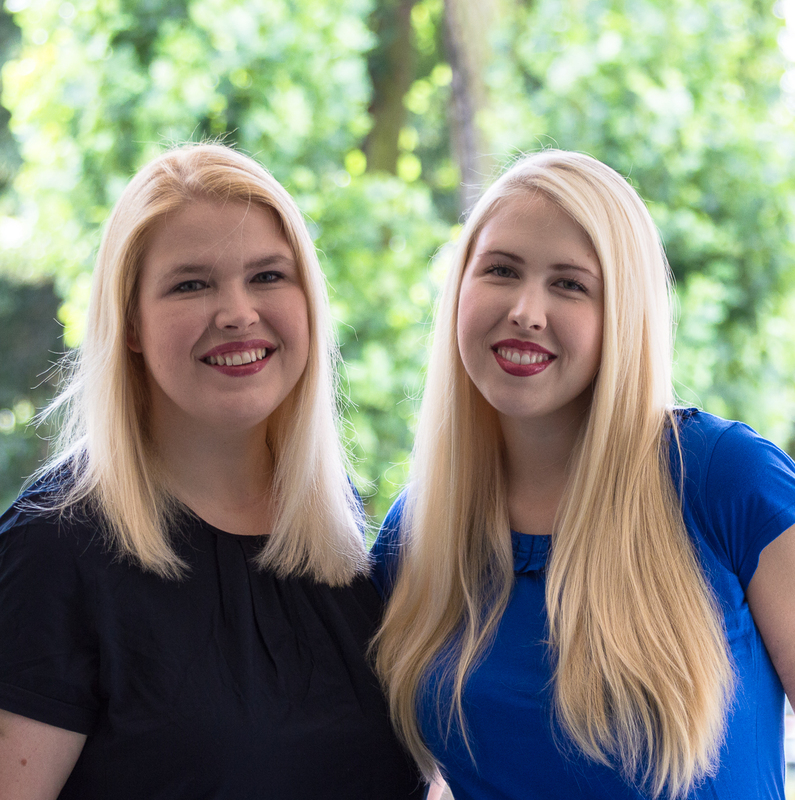 After a coffee, a sandwich and many photos we continued our trip. Our last stop before going back on board, were the Jameos del Aqua. “Jameos” are cavities of lava. 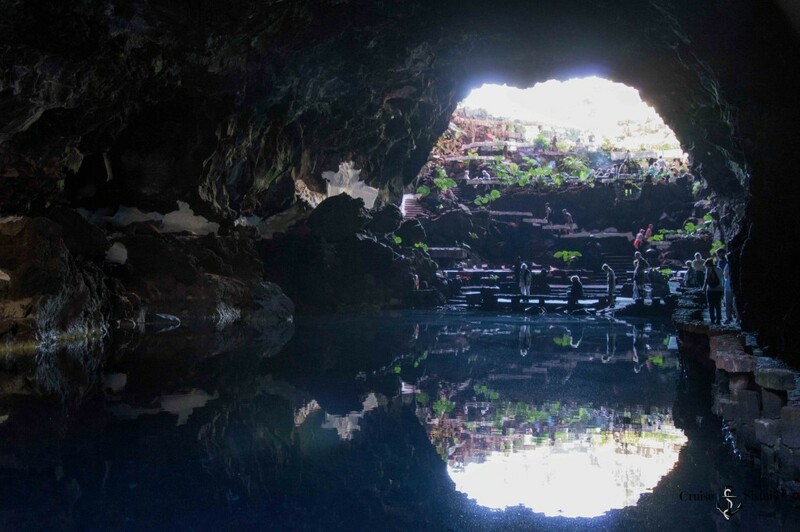 The Jameos del Agua were designed by César Manrique. Unfortunately, only a part of our group was able to visit the Jameos del Aqua because of the rocky steps leading down to the lake. Once at the bottom, we reached the Jameo de la Cazuela in which we could see white crabs. Actually it was the blind albino crab, a rare and delicate crustacean. 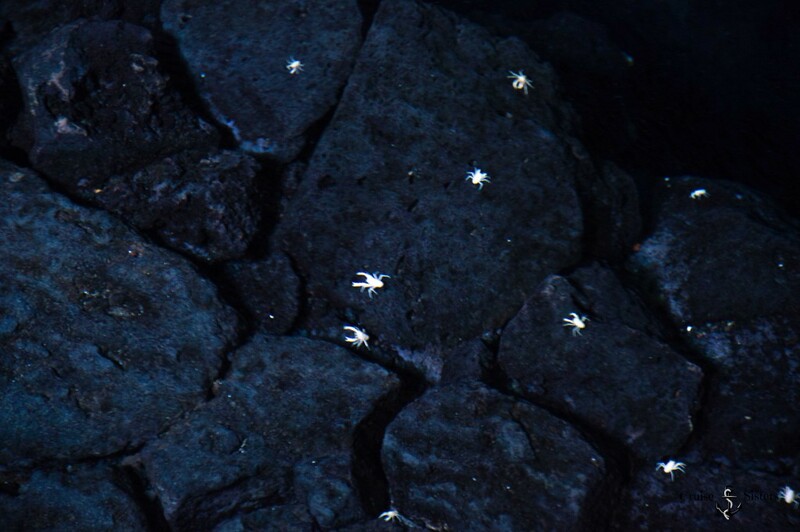 We could see the tiny crabs very well, but it was quite difficult to take some great photos of them. When you pass the sea and walk back upstairs, there is an artificial lake with palm trees. Behind that lake is the entrance to a wonderful concert hall within a cave. Unfortunately there was no concert that day and we had to head to the exit to drive back to the cruise ship. Next time we want to visit the beautiful Timanfaya national park on the island Lanzarote. This time we had no time left. 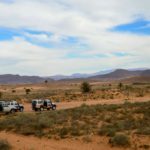 After we had brought our traveling group back to the ship, we brought the car back to the airport and took a taxi to the ship. Now we were looking forward to our first Christmas Eve on board. 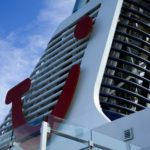 Next PostWie wird Weihnachten auf der Mein Schiff 4 gefeiert?